We appreciate your support! We encourage our members and club visitors to visit our Sponsors' websites and locations to show our appreciation. Only 3 sheets left! Also opportunities for in-ice logos. We've got your audience... on ice. Find out more about advertising and sponsorship opportunities at TSA. ​We will help your business reach our community of hard rockers in the most cost-effective way. 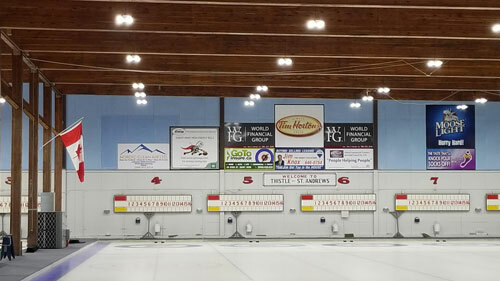 TSA (Thistle-St. Andrews) Curling Club is located in North Saint John. Our newly-renovated facility has 8 sheets of ice -- more than any club in the area -- and includes a spacious lounge, banquet room, pro shop, locker rooms and wheelchair access to our lounge and ice. Drop by for a tour!